As I studied today’s verse in my 30 Day journey to an Unstuck Christmas (based upon my new book Life Unstuck), devo I really pondered on this verse with a fresh heart (that’s my 30 Christmas quiet time goal), I started thinking about how the words of this verse might have left Mary with even more questions than she started with! I mean her “How will this happen” was answered with “the Holy Spirit will come upon you.” Talk about answering a question with a bigger question. Surely she was left wondering, when he does come will I know? Will he tell me when he is coming? Will he let me know ahead of time? What does he look like? How does that feel? 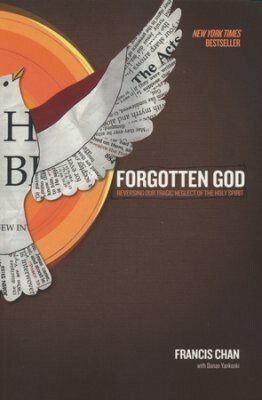 I started digging into my research material on the Holy Spirit and realized, this is not a devo, this is a book! LOL! In fact, there IS an amazing book on my bookshelf that truly should be on yours as well–if I must say so myself! OK, how’s that for a start?? I want that, how about you? I especially love Chan’s list in the book of how the Holy Spirit shows up in our lives along with the Biblical references! If this was a book and not a 5 minute devotional, I would share more about how the Holy Spirit has worked in my own life but if YOU have some extra time today, do a bit of extra study on the Holy Spirit-or maybe even gift yourself with this book! It’s a life changer and a keeper! Prayer: Holy Spirit, I stand in awe of you today. I do my best, with this finite mind of mine to understand and embrace your infinite, immeasurable, boundless love. I ask you Holy Spirit, to come upon me in a fresh way today. Give me a Life Unstuck in every way and give me power to live for Jesus and be more like him from the inside out. Inspire me, make me bold and, like Mary, overshadow my life in Jesus’ name! LIFE got derailed a bit last week as I “bit off more thanI could chew” as my Mamma would say. THIS was the awesome book I was giving away so this is the awesome book I am giving away THIS WEEK. It is a FUN book written by my friend Kathi Lipp. You MUST VISIT her website for some yummy FREE GIFTS! 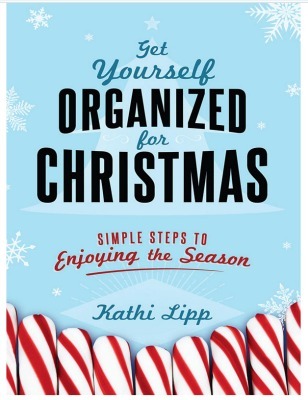 Here is how you can win it–stop by Kathi Lipps Twitter and/or Persicope and say Pat sent me! I will watch for your post and enter you in the book drawing!! Happy Monday, the twelfth day of Christmas! Previous Post: « Greetings Friend! The Lord is With YOU! Hi Pat! I would love to read Kathi’s book.